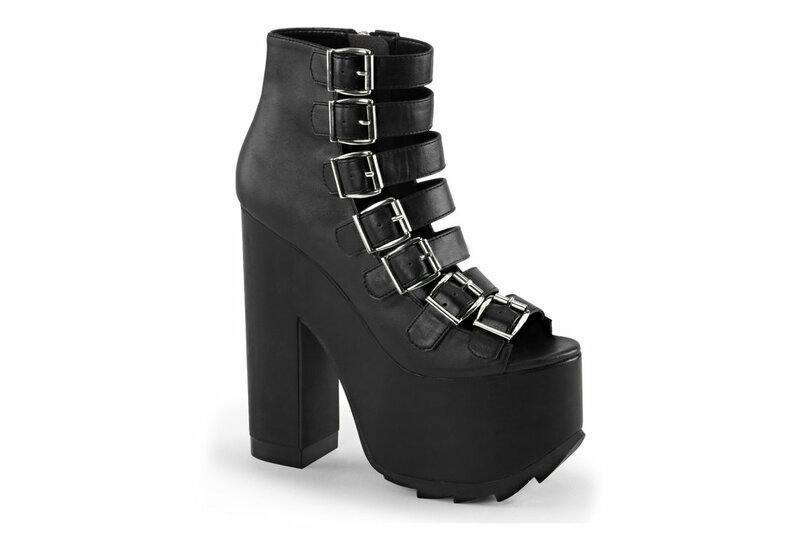 Black vegan leather look boots with 6 1/4 inch block heel and 3 inch ridged platform. 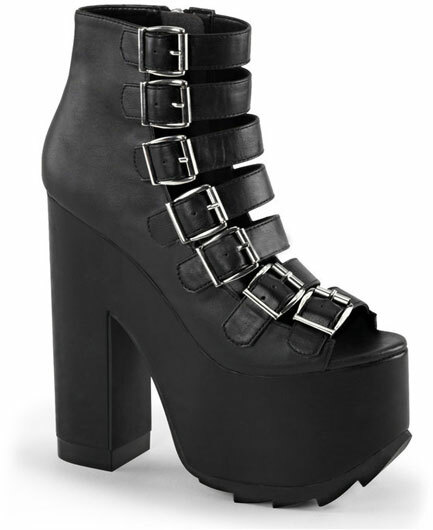 The open face of this boot has seven straps with silver roller buckles. The CRAMPS-04 has an full inner zipper for ease of putting on and taking off the boot. Looks great with tights or bare skinned.